DAYTON, Ohio — The Online Marketing Summit, a national educational conference for corporate marketing executives, has selected Doug Lenos, Online Marketing Strategist at BRC Marketing, as a featured speaker at its February 4-7, 2009, event in San Diego, California. Lenos will discuss the importance of online marketing for business-to-business companies including the successful integration of website design, information architecture, search engine marketing and analytics. The presentation will include an in-depth analysis of Cintas.com, a website re-designed by BRC Marketing in September 2007 that has produced a four-fold increase in sales leads while leading visitors to the information they seek with fewer clicks. Cintas.com was also named one of BtoB magazine’s Top Ten websites for 2007. Marketers who visit BRCmarketing.com and register for the Online Marketing Summit before November 1, 2008, can save $700 off the regular $1695 fee. BRC Marketing is a full-service business-to-business direct response and interactive agency whose clients include Teradata, Reynolds and Reynolds, Cintas Corporation and SRA/McGraw-Hill. BRC Marketing is based in Dayton, Ohio, with an office in Silicon Valley, California. 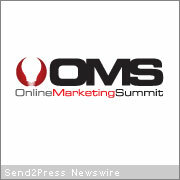 More information is available at: http://www.BRCmarketing.com or http://www.OnlineMarketingSummit.com. Author Carly Zander has written for numerous publications including CrossMedia and Search Engine Intelligence, and in the music business for outfits like Neotrope® Records. She is a full-time content manager for the Neotrope® News Network. Advertising Industry Newswire™ (AIN) is a an online news magazine, part of the NEOTROPE® News Network, based in California, USA. Established in 2004, AIN covers advertising and marketing news, product launches, research, and more.